It’s the height of summertime in Alaska! This is the perfect time to get outside and enjoy all that our beautiful state has to offer. Flattop Mountain is the most hiked mountain in Alaska – have you tried it? The 1.5 mile trail to the summit provides gorgeous views of Mt. McKinley and the Aleutian Islands. If you’re not up for that, try the path to the overlook, its just a short walk. The Tony Knowles Coastal Trail is recently refurbished and is perfect for an easy walk or bike ride. Look out for moose, bald eagles, and other wildlife! Kincaid Park has 20 miles of trails, so take your pick and spend the afternoon getting some fresh air. 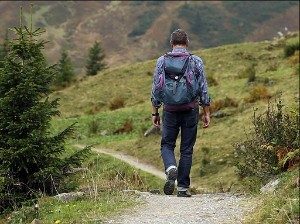 Hiking is a great way to enjoy the outdoors while getting mild to moderate exercise. If you’re just starting out, here are some tips to get you going on the right foot. – Get proper footwear. Light hikers can use walking sneakers or cross trainers. 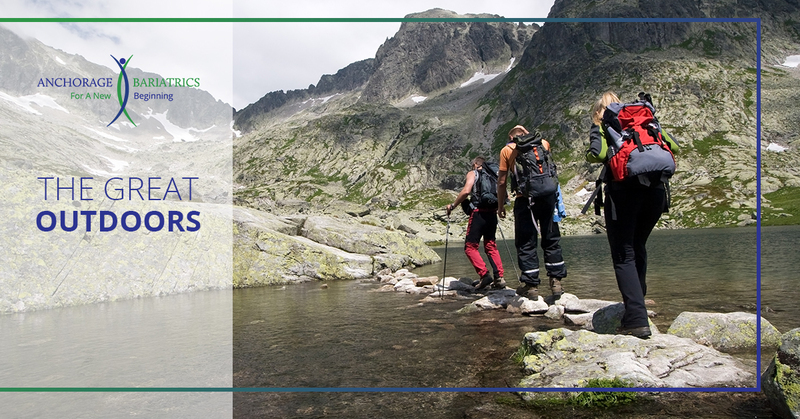 If you’re going to be on rocky terrain, the better choice is to invest in some hiking boots. You don’t have to get the most expensive pair, but make sure they’re a comfortable fit and get a good pair of thick socks to help prevent blisters. – Take a walk in a local park with multiple trail options. Typically, trails are marked by degree of difficulty so you can choose one that’s right for you. Some trails loop and others have a designated turning point. Nothing says that you have to walk the entire trail, so go at your own pace and turn back when you start to feel tired, then go further the next time. – Everything’s more fun with a friend, so join up with a local group! This will also take the guess work out of choosing the trail and not only will you get lots of free advice from other hikers, you just might make a friend or two along the way. – Pack water and a snack. If your hike will be longer than 30 minutes, be sure to bring some water along the way and sip throughout your hike, before you start to feel thirsty. If you’ll be out for more than two hours, grab a healthy snack, like trail mix or a protein bar (read the label to ensure there’s not too much sugar and fat!). – Stick to the beaten path. No wandering off the trail! Let others know where you’ll be and what time you expect to be back, then check in with them when you return. Safety first! Not all protein bars are created equal. Some are really candy bars in disguise! So, its important to choose wisely to ensure you’re getting the nutrients your body needs with minimal fat and sugar. According to Shape Magazine, the best protein bars are Luna Bars, Kind Bars, and FucoProtein Bars. 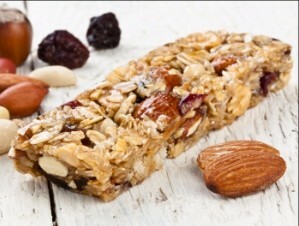 Avoid PowerBars – they are packed with high fructose corn syrup and other sugars. EAS Myoplex Lite is anything but light, and Nature Valley Bars are very high in fat.